Durham Indoor Bowling Club has an 8-rink bowling carpet and suspended ceiling for glare free bowling. 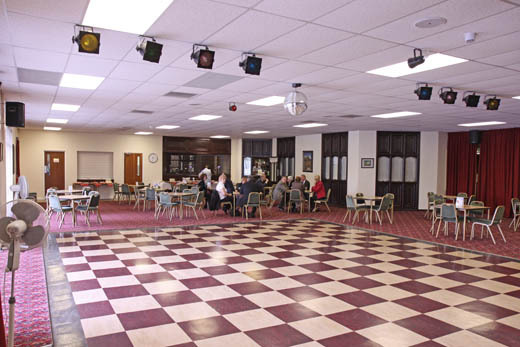 The club is a vibrant mix of both bowling and social activity. There are internal leagues, knockout competitions and inter-club matches as well as social bowling. Training and coaching courses are available for new members from the club's own squad of qualified and experienced coaches. On the social side are dancing classes, whist and bridge sessions as well as quiz and fun occasions. With its location on the edge of the City, its large free parking area and excellent catering capacity, private rooms and bars it is a popular venue for conferences and business meetings. These facilities are available to hire, please contact the club tel. 0191 3840700 for more information.